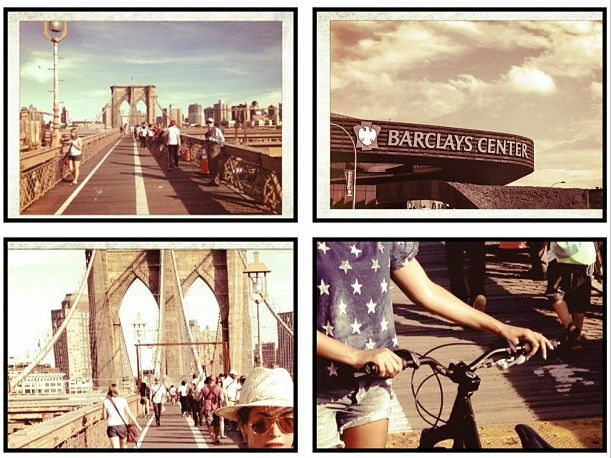 –Beyoncé biked to her concert in Brooklyn for her last show. Celebrities: they’re just like us! -I take that back: Bey and Jay Z reportedly gave every one of their 80 employees a bonus of $45k, totalling $4 million in all. –Eddie Cibrian and LeAnn Rimes just landed their own reality show. It’s still untitled (probably because Cheaters was already taken). -I was half-watching The Colbert Report last night and didn’t notice that Stephen Colbert was tearing the MTV president a new one until halfway through his rant. I did, however, catch all of his star-studded “Get Lucky” dance party, which confirmed my belief that Bryan Cranston is having the g.d. time of his life these days. -Speaking of Cranston, Breaking Bad‘s imminent premiere (four days!) means we’re drowning in think-pieces, including stories on how the show is expected to wrap up (spoiler: awesomely!) and how it broke free of the clock-work universe problem. There are new interviews with Cranston and Vince Gilligan, the cinematographer, the composer, and the guys who play Badger and Skinny Pete. I’ll be doing some sort of recaps for it somewhere — not really sure where/how yet. Stay tuned! -Also, here’s the season five gag reel. And what Breaking Bad would look like as a middle school musical. –Craig Ferguson used to be in a goth band with the new Doctor Who, which is awesome. –George Clooney recently slammed hedge fund billionaire Daniel Loeb, whose fund controls 7% of Sony Pictures Entertainment stock, for “trying to spread a climate of fear that pushes studios to want to make only tent poles.” Is anyone else a little turned on right now? –Ashton Kutcher disagrees with Clooney, which means I trust George’s opinion even more now. –Marla Maples says she still loves Donald Trump, but she doesn’t say why. Not fair! That’s like saying “I love racism” and then doing a mic drop. -This new Hollerado video made me a little teary. -Also getting me all hormotional is Zach Gilford’s wedding pictures. Is that Landry playing guitar? Check out Gilford’s face when she’s walking down the aisle. Damn you, Saracen! –Tara Reid doesn’t know a damn thing about sharks. -Not that Disney will learn their lesson. Despite The Lone Ranger and Iron Man 3 underperforming, they’re still rolling in it. -I’m really digging Scarlett Johansson‘s Harper’s Bazaar cover. God bless September issues! –The Bachelorette is finally over. Can we all go back to not knowing these people’s names again? -It was a day of music leaks. Here’s Drake‘s sexed-up new single, and here’s Lady Gaga‘s mess of a new song (which, to be fair, is reportedly a rough cut). But still: yeesh. -It’s The O.C.‘s 10-year anniversary this week. (Newsflash: we’re old!). Watch Vulture’s supercut of Sandy Cohen (and his eyebrows) giving relationship advice. -Sweet! Veronica Mars‘ Jason Dohring just signed on to the new CW drama, Tomorrow People. -One of the bonus features in the upcoming DVD of The Office will be audition footage featuring Adam Scott and John Cho (for the role of Jim), Eric Stonestreet and Seth Rogen (Dwight) and Kathryn Hahn (Pam). Weird. -The first reviews for Elysium are in — and they’re good but not glowing. I’m still gonna watch the crap out of it. -In case you still, for some reason, think Leo DiCaprio is hot, these photos of him slobbering on a model should cure you right up! -Facebook wants to compete with People when it comes to exclusive celebrity images, even if that means setting up their own photo shoots. –Sylvester Stallone called Bruce Willis “greedy and lazy.” It seems everyone who’s encountered Willis has a bad story (mine involves him drunkenly talking about “bloozeberries,” but the best is Kevin Smith’s). –This article about how you shouldn’t let Mumford & Sons trick you into liking them is everything. -Also everything: Geena Davis wearing her A League of Their Own costume. -If you only watch one episode of Drunk History this season, make it the one where Kristen Wiig plays Patty Hearst while Natasha Leggero drunkenly narrates. -With one tweet, Raven-Symone quietly outed herself as a lesbian. –EW just posted a new photo of Jennifer Lawrence in Catching Fire. –Brandon Walsh is writing a memoir! -A crap ton of trailers landed today and man, you can tell summer blockbuster season is ovah! First up is the trailer for Ridley Scott’s The Counselor, written by Cormac McCarthy and starring Michael Fassbender, Brad Pitt, Penélope Cruz, Cameron Diaz and Javier Bardem. Here’s the first trailer for one of James Gandolfini‘s final films, Enough Said. A new Diana trailer surfaced. Tina Fey, Ricky Gervais, Ty Burrell, P. Diddy and Salma Hayek show up in the first trailer for Muppets Most Wanted. Here’s the Thor 2: The Dark World trailer. But I’m most excited about the trailer for Spike Jonze’s Her, starring Joaquin Phoenix, Amy Adams, Rooney Mara and ScarJo. The film was scored by Arcade Fire.